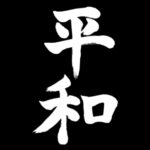 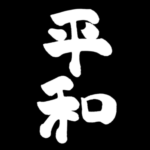 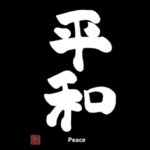 The meanings of the first kanji “平” contains “flat, smooth and calm”. 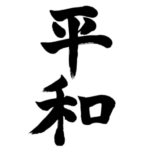 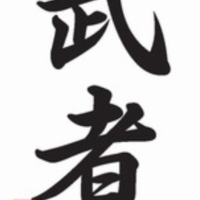 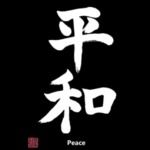 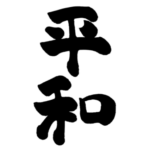 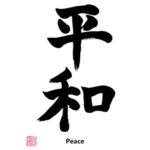 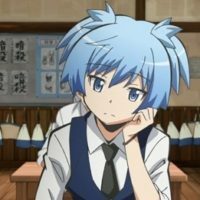 And the meanings of the second one “和” contains “harmony and repose”. 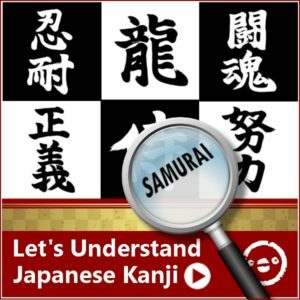 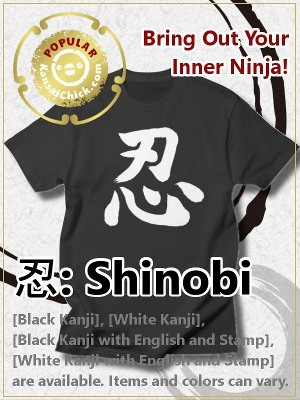 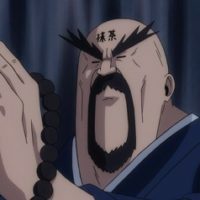 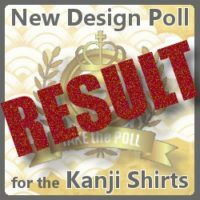 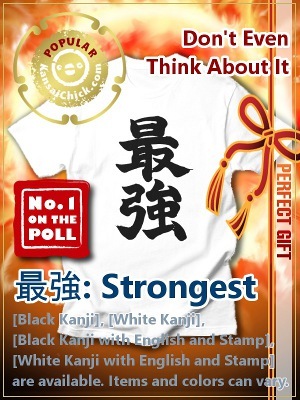 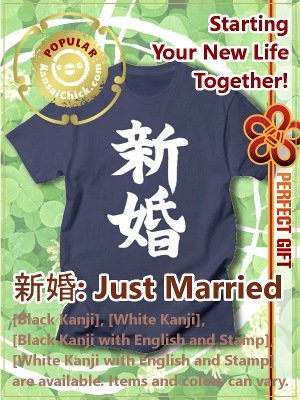 Of course anyone can wear a Kanji T-shirt but it doesn’t hurt if you see some examples of actual people who would qualify. 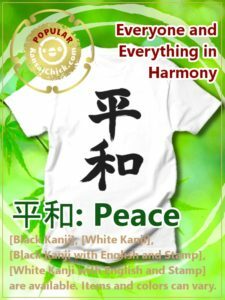 I hope anybody, who needs “Peace”, owns these Japanese Kanji Clothes. 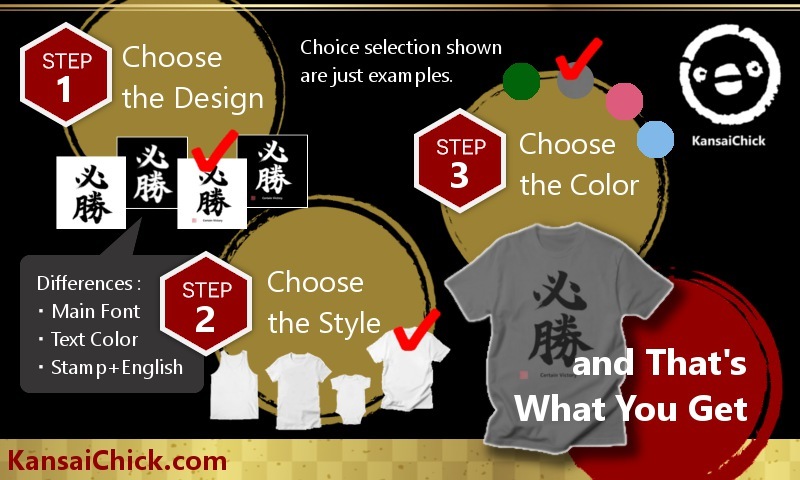 Items and colors vary. 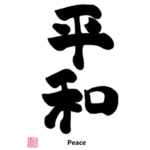 This Japanese Kanji has 2 fonts, Regular Brush Strokes and Rounded Brush Strokes(Cute!). 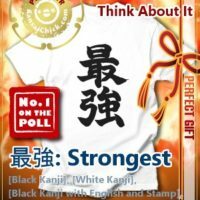 Each font has 2 choices of text colors, Black or White. 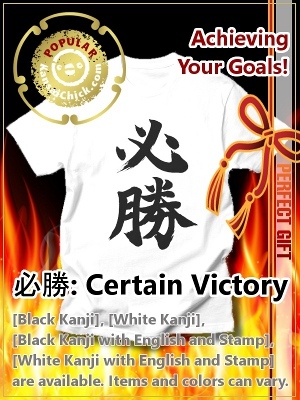 And There is also a version with a KansaiChick stamp and English text (translation) available.